Tire Balm & Protectant: Why You Should Choose Water-based. A car’s tires are like legs. Without them, you can’t get around. No matter how fancy and detailed your car is on the inside if your tires aren’t in good shape, the rest is insignificant. Tire safety also doesn’t always mean buying new tires – You can take care of older tires so they last you just as long as new ones. Taking care of your car’s tires is crucial to their lifespan, as well as your safety. 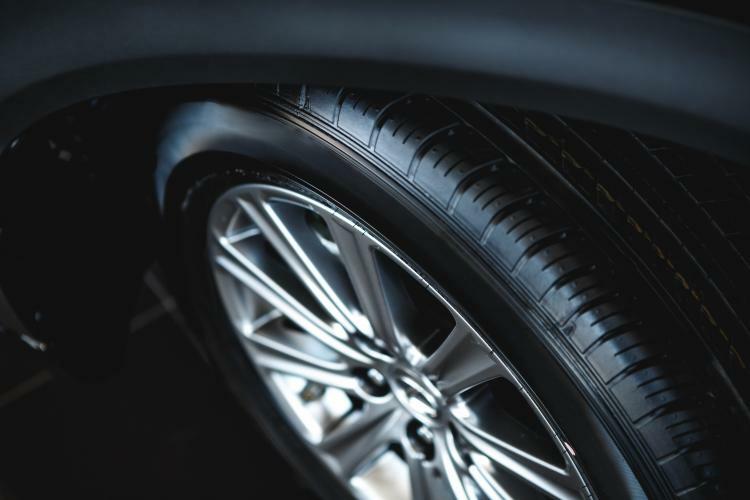 Caring for your tires starts with regularly getting them rotated, making sure you check their pressure on a consistent basis, getting the brakes done when required, and ensuring your tires are properly installed when they are replaced or serviced. When all the above is said and done – tire care still doesn’t stop there. Regularly cleaning your car tires is just as crucial to their well-being as tracking their mileage. After ensuring tires are free of dirt, debris, or mud, using tire protectant can also help extend their longevity. You’ve probably been hit by the dozens of choices of tire protectant solutions on the shelves at your local auto store – or online. With so many options to choose from, it’s hard to know which one is right for the kind of tires you have. Tire protection cleaning choices range from sprays, foam, to balms, and even pastes that ultimately keep your tires looking fresh and new. Tire balm protectants are among some of the best tire cleaning and protection solutions available today. Water-based tire protectants outshine others in many ways – and are ultimately better for your tires. One of the key ways is that a water-based formula won’t give your tires that chalky, dusty look, which can sometimes occur if you’re using a foam cleaner. Another reason to use a water-based tire protectant is that it prevents dry rot – when a tire’s sidewall develops cracking that resembles hairline breakage on the tread and sidewalls. Using a water-based solution gives you the creativity to give your tires a nice matte finish when applying one coat, or if you want a more lustrous shine, then apply two or more to get that effect. Hand applying water-based solution is easiest to put on your tires and requires minimal knowledge of how to do so. You can also use your desired applicator – if you have a go-to tool already. Water-based tire balm protectants aren’t oily and won’t leave ugly, streaky or heavy residue behind on your tires. The solution should be quick to dry and should be sling-free, meaning that it stays on your tires long after being applied. ●Promises a wet shine look for a brilliant finish to your tires. ●Has an “anti-aging’ benefit that will protect and extend the life of the tires. ●Sun and UV-Ray blocking capabilities. ●Weather-proof luster that lasts for at least a week, or two, or more. ●Easy to use and apply. Spreads evenly over the whole tire or area. ●An all-in-one solution is best (cleans, protects, and gives lustrous shine). Also, not only good for tires, many tire protectant solvents can also be used on car trims, rims, vents and grilles, and even for cleaning the car’s engine bay.